Celebrity Event Hosts will join this fundraiser. Native Texan, actress, producer, director and activist Eva Longoria will emcee opening ceremonies for the Special Olympics Texas (SOTX) 2019 Summer Games on Friday, May 3, at Toyota Field in San Antonio. CORPUS CHRISTI, Texas –The Coastal Bend Community Foundation has awarded Special Olympics Texas (SOTX) a $7,500 grant to support athletes in the Corpus Christi area. The grant funds will provide sports programming and training for 50 children and adults with intellectual disabilities from the Corpus Christi area in 2019. South Plains Area has received a $6,000 grant from the Community Foundation of West Texas. The grant will sponsor 33 SOTX athletes over 15 counties in the West Texas area, providing funds for local training and competition opportunities. Special Olympics Texas (SOTX) has decided that due to inclement weather, field conditions, and safety concerns, all outdoor events have been cancelled which includes Bocce, Golf, and Softball. The Aquatics competition will still take place as planned. Ellie Moulds, the Director of Competition and Games stated, "our first concern is for the safety of our athletes, coaches, and volunteers." San Antonio - Special Olympics Texas' (SOTX) 50th Annual Summer Games will be making the move to San Antonio and hosted by Morgan's Wonderland and held at area venues from May 2, 2019 - May 5, 2019. All events are free and open to the public. The four-day event is SOTX's largest competition of the year, featuring close to 3,000 athletes from all around the state of Texas. Tim Martin (SOTX President & CEO) announced this extraordinary news today at a joint press conference. 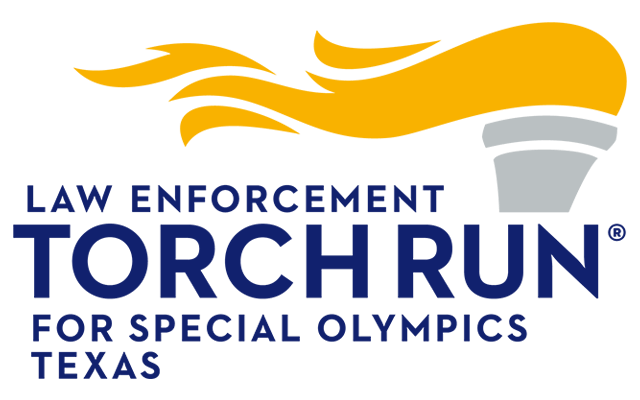 Members of the Law Enforcement Torch Run (LETR) have raised more than $27.2 million to support Special Olympics Texas programs for Texas children and adults with intellectual and developmental disabilities. Austin, TX - The Board of Directors of Special Olympics Texas is proud to announce the appointment of Mr. Tim Martin as its new President and Chief Executive Officer of Special Olympics Texas (SOTX). Special Olympics Texas (SOTX) has been awarded a grant in the amount of $10,000 from the Albert and Ethel Herzstein Charitable Foundation to help fund training, competitions and programming for athletes in the Greater Houston Area, which serves 9,889 children and adults with intellectual disabilities. Hurricane Harvey's aftermath has forced Special Olympics Texas (SOTX) to cancel and postpone several competitions and fundraisers not only in the affected Houston and Coastal Bend areas, but across the state of Texas. Due to the significant loss of income from those fundraising events, the 501(c)3 nonprofit organization is forecasting a shortfall of hundreds of thousands of dollars for its 2017 budget and it is now asking for the public's help. Special Olympics Texas (SOTX) officially announced the winners of its statewide Athletes, Unified Partner and Coach of the Year awards on Sept. 25. All will be formally honored during an awards ceremony in College Station on Oct. 13. All affected members, if able, are urged to visit www.sotx.org/harvey to provide a quick update on their whereabouts and how the storm has impacted them, so that the organization can devise ways to provide aid. The John G. and Marie Kenedy Memorial Foundation has awarded Special Olympics Texas (SOTX) a $5,000 grant to support athletes in the South Texas area. The grant funds will provide operational support for SOTX programming in Corpus Christi. After 22 years of service to Special Olympics Texas, Margaret Larsen's last day as President and CEO of Special Olympics Texas was June 19, 2017. Suzanne Anderson, SOTX Senior Vice President of Field Services, has been named the interim CEO until a permanent CEO is named. Special Olympics Texas (SOTX) has been awarded a grant in the amount of $18,104 from The Bernard and Audre Rapoport Foundation to help fund training, competitions and programming for athletes in the Heart of Texas Area, which serves 1,063 children and adults with intellectual disabilities across Waco and 12 surrounding counties, including McLennan County. Annual statewide torch run to Arlington for Special Olympics Texas' Summer Games kickoff event; Program is slated to begin at 1:00 p.m. on the South Steps of Texas State Capitol. The grant will sponsor 33 SOTX athletes in the Central Texas Area, providing funds for local training and competition opportunities. Special Olympics Texas (SOTX) has received a $40,000 grant from Newman's Own Foundation, the independent foundation created by the late actor and philanthropist Paul Newman. Don Langer (Houston), the CEO for the UnitedHealthcare Community Plan of Texas, has been elected to Special Olympics Texas' (SOTX) board of directors, the non-profit organization announced Wednesday. He will serve a two-year term in an at-large position on the board. In the largest study to date of people with intellectual disabilities and their families, researchers found that Special Olympics Texas leads the nation in the employment of athletes with intellectual disabilities in competitive environments. The study also showed that children, adolescents, and adults with disabilities experience a significant improvement in self-esteem through participating in Special Olympics in the Lone Star State. The findings of the research were released today. Special Olympics Texas will hold a press briefing on Tuesday, Jan. 24 at the Texas State Capitol to announce the findings of a landmark study, conducted by the Center for Social Development and Education at the University of Massachusetts Boston. The announcement will be made at 10:00 a.m. in the Speaker's Committee Room (2W.6). Special Olympics Texas (SOTX) will host its 24th annual Winter Games, a statewide Bowling, Powerlifting and Volleyball competition for nearly 2,700 children and adults with intellectual disabilities. The event will commence with the Opening Ceremony on Thursday, Feb. 2 and the Games will run from Feb. 3-5 at several venues across the Central Texas area. Volunteers are heavily needed to assist with various duties at all competition events. South Plains Area has received a $5,000 grant from the Community Foundation of West Texas. The grant will sponsor 33 SOTX athletes over 15 counties in the West Texas area, providing funds for local training and competition opportunities. Special Olympics Texas (SOTX) officially announced the recipients of its annual statewide Volunteer Awards on Thursday. 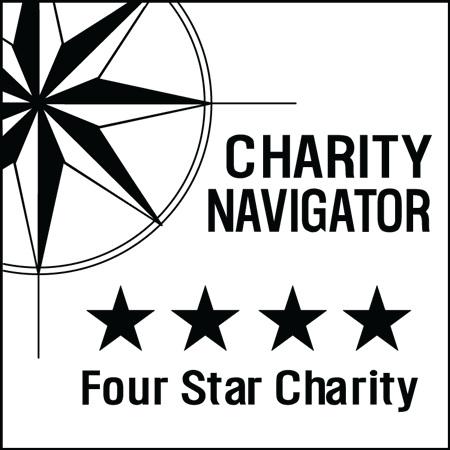 The non-profit organization presented five awards for different volunteer categories. Renae Carswell (Lewisville) was crowned its Volunteer of the Year award, Bryan Police Department's Sgt. Jason James (Bryan) was named the Outstanding Volunteer of the Year for Fundraising, Laurie Martin (Saint Jo) received the award for Trainer of the Year, Jim Domer (Lewisville) earned Unified Partner of the Year accolades and Rob, Lori, Kyle and Ryan Mehnert (Carrollton) were dubbed Family of the Year. Special Olympics Texas (SOTX) officially announced its annual statewide Outstanding Service Awards on Wednesday. Four winners were selected for different categories, including: FC Dallas for a Business/Corporation, Houston Bar Association for a Civic or Service Organization, KSAT 12 sports director Greg Simmons for a Community Leader and San Antonio resident Gwenda Taggart for Outreach. Cavender's will present a $10,000 check to Special Olympics Texas (SOTX) at its South Austin store (4435 S Lamar Blvd.) on Monday, Sept. 12 at 10:00 a.m. The funds being presented were raised through an in-store promotion, which ran during the month of July, as Cavender's sold $1 paper torches at each of its 51 stores, enabling its customers an opportunity to pledge their support for SOTX. The monies raised will completely fund one full year's worth of SOTX programming and training for more than 65 children and adults with intellectual disabilities across Texas. The Coastal Bend Community Foundation has awarded Special Olympics Texas (SOTX) a $2,600 grant to support athletes in the Corpus Christi area. The grant funds will provide sports programming and training for more than 17 children and adults with intellectual disabilities from the Corpus Christi area for one full year. Since 2002, the foundation has contributed $90,100 to SOTX, helping the organization continue programming for athletes in the Aransas, Jim Wells, Kleberg, Nueces, Refugio and San Patricio counties. Dallas Police Chief David Brown will serve as the Honorary Chairman for Special Olympics Texas' (SOTX) upcoming Over the Edge (OTE) fundraiser on Saturday, Nov. 5 at the Oak Cliff Tower in downtown Dallas. Registration to rappel down the 15-story building is now open and can be completed online. Slots are limited. All 65 Dallas-Ft. Worth-area Chipotle Mexican Grill restaurants will be vying to "Cause an Effect," on Thursday, Aug. 18, as patrons have the opportunity to donate 50 percent of their meal sale to Special Olympics Texas (SOTX). Officer Zarate helped with every LETR fundraiser that was held in the Houston area, including Tip A Cop events, and participated in the annual statewide torch run to Arlington for the statewide SOTX Summer Games. He truly loved our athletes and felt honored to be a tiny part of their successes, accomplishments and celebrations. ABILENE - Special Olympics Texas (SOTX) - Big Country Area has received a grant in the amount of $7,500 from the San Angelo Area Foundation. The grant, which is the first contribution the community foundation has presented to SOTX, will assist with programming costs for SOTX athletes in the San Angelo area. Special Olympics Texas (SOTX) athlete Ian Rawn (Plano, TX) has been selected to compete in Figure Skating at the 2017 Special Olympics World Winter Games in Austria, which will be held March 14-25, 2017 in Graz, Schladming, Ramsau and Styria. The Plano resident will be the lone Texan representing his country on Special Olympics USA at the 2017 Games. The 3-on-3 basketball tournament challenges top ballers and Cinderella hopefuls to bring their A-game to the court for bragging rights and for the purpose of raising awareness and funds for nearly 1,900 Special Olympics Texas athletes in the South Texas area. DALLAS - Texas Rangers shortstop Elvis Andrus and the Texas Rangers Baseball Foundation have been named Special Olympics Texas' (SOTX) Outstanding Fundraiser of the Year for the Greater Dallas Area. Andrus and the Rangers will be formally recognized with the honor during Wednesday's pregame festivities, which will be held prior to the Rangers hosting the Los Angeles Angels for the three-game series finale at 1:05 p.m.
AUSTIN - Nearly 3,000 athletes from 170 teams from across Texas will converge in Arlington this weekend for the 2016 Special Olympics Texas Summer Games, presented by TD Ameritrade and the Knights of Columbus. While competition gets underway for some athletes early on Friday, the official start to the annual event, now in its 47th year, will not come until the Opening Ceremony takes places on Friday evening at 7:00 p.m. at Maverick Stadium. Special Olympics Texas (SOTX) officially announced Toyota as its newest Official Partner, on May 17 making the automaker a year-round statewide $250,000-level co-sponsor of the 501(c)(3) non-profit organization. SOTX provides year-round sports training and athletic competition in a variety of Olympic-type sports for more than 55,200 children and adults with intellectual disabilities in the state of Texas. AUSTIN, Texas - Special Olympics Texas' (SOTX) 47th annual Summer Games, presented by TD Ameritrade and the Knights of Columbus, will return to The University of Texas at Arlington and surrounding area venues from Thursday, May 26 - Sunday, May 29. The event is SOTX's largest competition of the year, featuring more than 3,000 athletes from all around the state of Texas. AUSTIN - In an effort to help its athletes live a healthier life and compete at their highest level, Special Olympics Texas (SOTX) has launched Food for Fitness, a nutritional enhancement program designed to educate people with intellectual disabilities on how consuming healthful foods fuel their bodies to be the best athletes they can be. Following the pilot test in Austin, Houston and Lufkin, Food for Fitness will now be introduced statewide to all 19 SOTX area programs, which combine to serve more than 55,200 athletes. AMARILLO - Eight Special Olympics Texas (SOTX) athletes and Unified Partners from the Panhandle Area will join elite track and field athletes from around the world in Philadelphia this weekend at the 122nd annual Penn Relays. DALLAS - Six Special Olympics Texas (SOTX) athletes from the Greater Dallas area have been invited to represent the United States in Macau, China from April 27-29 at the 2016 Special Olympics Golf Masters. The fifth annual event, held at Caesars Golf Macau, is a test of skill designed to give Special Olympics golfers from around the world a chance to compete in an international tournament setting. It will take more 3,750 volunteers to run seven competitions and assist in many other capacities. Those interested and able to provide support can sign up at www.sotx.org/summergames and click the 'Volunteer' tab. AUSTIN - Special Olympics Texas (SOTX) President & CEO Margaret Larsen announced the four newest members that will serve on the organization's Board of Directors in 2016. AUSTIN - Beginning January 1, 2016 when Texas drivers register an automobile or renew a motor vehicle registration, they will notice a new option on the processing form that offers an option for donating $5 or more to Special Olympics Texas (SOTX). ARLINGTON - All Special Olympics Texas (SOTX) athletes will have the opportunity to receive free healthcare exams on Friday, May 27 and Saturday, May 28, during SOTX's Summer Games, presented by TD Ameritrade and the Knights of Columbus, at UT-Arlington. Special Olympics Texas' (SOTX) Big Country Area is once again a proud recipient of a grant from the Community Foundation of Abilene. After awarding a $3,100 grant in 2013 to the Abilene area SOTX office, the Community Foundation of Abilene has increased its giving to $5,000 in 2014 to support more than 1,000 SOTX athletes in the area. The grant will help fund local training and competition opportunities. The state of Texas will be well-represented on Team USA at the Special Olympics World Games in Los Angeles (July 25 - Aug. 2, 2015). In total, 14 athletes, four head coaches, two coaches, a Unified Partner and a technical delegate from the Lone Star State will help comprise Team USA. March 6 is the 4th national Spread the Word to End the Word activation and awareness day, and you're invited to take the pledge against the 'R-word'. The 3rd annual Special Olympics Texas Polar Plunge is January 18. Light the way for Special Olympics Texas (SOTX)! SOTX - Panhandle area is getting fired up for the final leg of the Law Enforcement Torch Run (LETR), May 22-23. The "I Am Potential" Extravaganza Gala is October 18 in El Paso. Just call Jay Jackson the Area 11 Music Man. Chan Hebert heard a plea for volunteers in Area 12 back in 2005, and she's been volunteering for Special Olympics Texas ever since. Area 2 volunteer Ricardo Escamilla Sr. is a tireless volunteer in the Area office. Nearly 200 Special Olympics Texas (SOTX) athletes will put their hoop skills to the test in the East Texas area basketball tournament, February 25, at Stephen F. Austin State University. More than 600 Special Olympics Texas (SOTX) athletes will put their hoop skills to the test at the Central Texas area basketball tournament, February 24-25, in San Marcos. Competition and events begin January 31 and wrap February 3. Statewide Torch Run kickoff will take place on the south steps of the Capitol. Swing batter batter, swing into summer and sign up for the Batter Up Invitational Softball Tournament on August 11 in San Angelo. Come join us at Books-A-Million book fair supporting Special Olympics Texas this July 19th at the Alamo Ranch Shopping Center. Get ready for excitement and fun at the Special Olympics Texas (SOTX) Basketball Competition! Strike up your giving spirit and roll out your support of Special Olympics Texas athletes. Get into the spirit of fall with Special Olympics Texas athletes and register to Bowl for the Gold on October 26. Come out and celebrate Special Olympics Texas - Heart of Texas area athletes and Bowl for the Gold on October 20. Break out your beads; it's time for the 23rd annual Special Olympics Texas (SOTX) Ragin' Cajun on April 14 in Lubbock! Bring on the Bay Ball! Are you the Best on the Bay? Prove it at the 23rd Annual Bay Ball Ballyhoop set for July 21-22 in Corpus Christi. Micky Childers has been giving back to his local community for over 15 years, but it's his level of commitment to the Conroe Stars Special Olympics Delegation that never goes unnoticed. Celebrate Cinco de Mayo with SOTX! Vamos! Sign up for the 29th Annual Chuy's Hot to Trot 5K and Kid K on May 5 in Austin. Rio Grande Valley area athlete leaves a lasting impression on legislators. Lt. Gov. David Dewhurst and Law Enforcement Torch Run (LETR) police officers will kick off the last leg of the Special Olympics Texas (SOTX) Torch Run on Wednesday, May 16, at 9 a.m. on the south steps of the State Capitol. Put your basketball skills to the test at the Special Olympics Texas area basketball tournament. Saddle up a round of applause for Stacey Johnson. She's the 2011 recipient of the American Quarter Horse Association award! Greater Dallas/Fort Worth area athletes prepare for Global Swimming Invitational. [endif]-->Chief David Brown of the Dallas Police Department has joined Special Olympics Texas' (SOTX) Torch Run Committee as Co-State Director. Show off your strength this fall and sign up for the Special Olympics Texas (SOTX) Fire Truck Pull on October 20 in San Antonio.